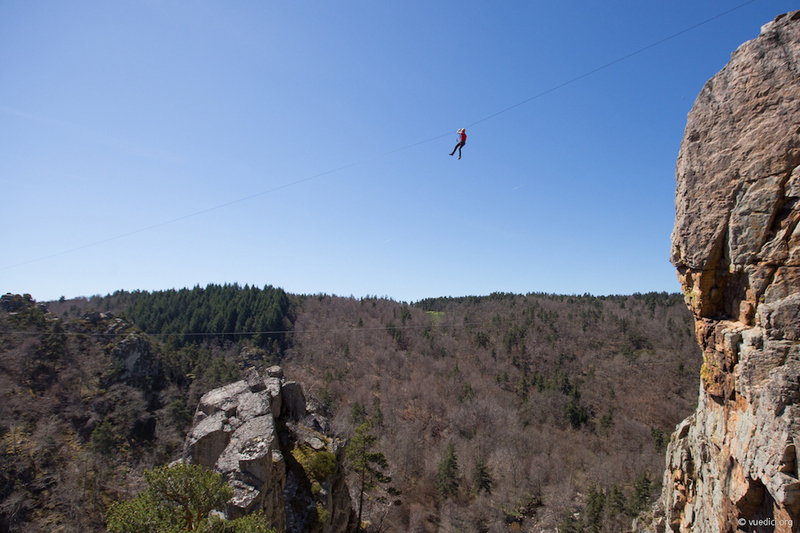 Excuse me, what's the difference between a via ferrata and a via corda? The equipment and the technique for moving forwards are identical. A via corda climbing route is equipped with ropes rather than cables (i.e. it is a non-permanent path), and the route is less fitted out than a via ferrata. Climbing a via corda is also nearer to rock-climbing, providing a closer contact with the rock as well as abseiling experiences (belayed by an instructor) that you will not get from a via ferrata. La Cazelle offers two circuits, a half-day circuit in Sainte Enimie and a full-day one in Florac. For the full-day circuit, a picnic. A small backpack (for one or two people). All the technical gear is provided by La Cazelle.